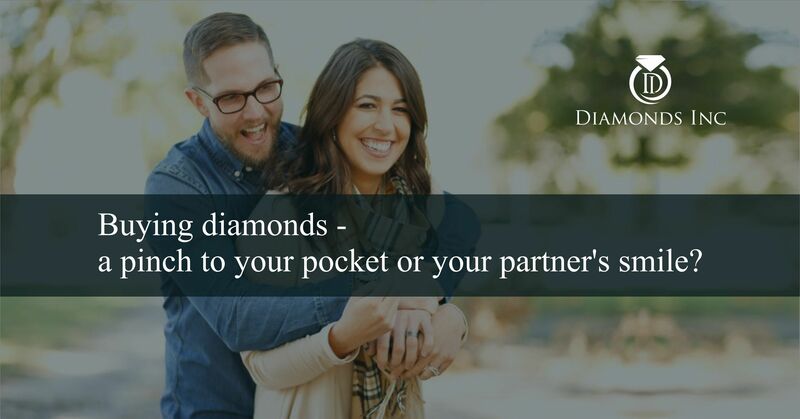 Buying diamonds - a pinch to your pocket or your partner's smile? 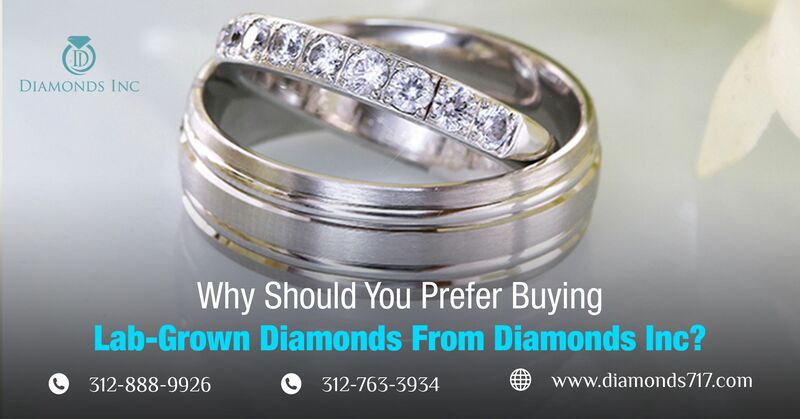 Buying Diamonds – A Pinch To Your Pocket Or Your Partner’s Smile? Everyone has a different point of view for diamonds. Some say diamonds are a pinch to their pocket, and some say they can bring a smile on their partner’s face. Which one do you feel? There is no doubt that diamonds are expensive, but at the same time they are considered as a girl’s best friend. You can’t deny that too. Organic Diamonds are formed naturally under the Earth’s crust, when the carbon particles undergo very high temperature (about 2200 Fahrenheit) and high pressure, in the Diamond Stability zone. It takes about billions of years to form a pure allotrope of carbon. In the end, these stones are brought above the earth’s surface, either by mining or by volcanic eruptions. However, the stones that are mined from the earth’s surface are devoid of its physical properties. These stones after being polished and given a fine cut, emit the actual fire and luster of a diamond. Well, it will not be wrong to mention, that such natural diamonds are very rare in nature. That is the reason why, they are considered as the most expensive gemstone, and if very harshly mentioned pinching the pocket of every buyer. Most of you may have accepted the above fact. However, there are some who says ‘no’ to it. They find Diamonds are the reason for their partner’s smile. No doubt it is true to some extent. Diamonds are said to be the hardest substance. They possess the highest thermal conductivity as well as high optical dispersion. Its exclusive fire and luster, have ruled thousands of hearts. Not only that, there are multiple myths of diamonds that have taken the diamonds to a different level and as a result contributed a bit to its price rate. For instance, diamonds are considered to be auspicious and for this reason, a ritual of wearing a diamond engagement ring or wedding ring has been prevailing for years. Interested to know more about the myths? Go through our blog on fictitious stories about diamonds. Apart from this, there are some who find diamonds are the good investment. They simply go with the fact that “Diamonds are forever”. As because, diamonds are known as the hardest substance that exists in nature. They believe it is better to invest in diamonds rather than looking for something else. However, it is hard to say that a diamond with time loses its value. So, it seems to be harder to get to the conclusion, whether buying diamonds is a pinch to your pocket or your partner’s smile. What if diamonds bring a smile to your partner’s face without annoying your pocket? Don’t you think its’ a brilliant idea? Yes, of course. But this can only happen if lab-grown New Dawn diamonds play the major role. 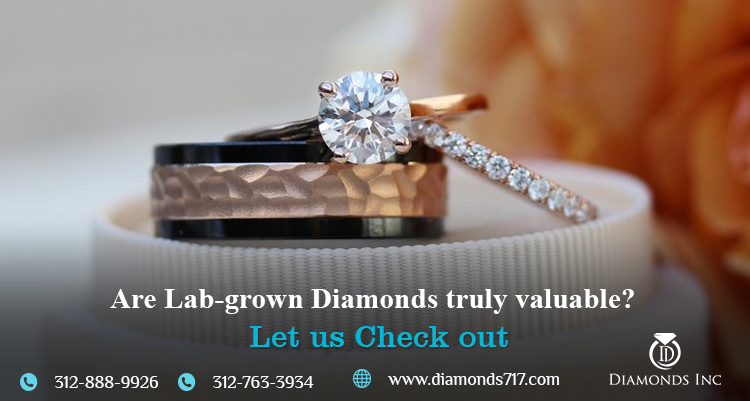 Lab-grown diamonds or New Dawn diamonds, formed in the laboratory are 100% identical to real mined diamonds. Most of you have a wrong concept that these diamonds are duplicate diamonds or diamond simulants. 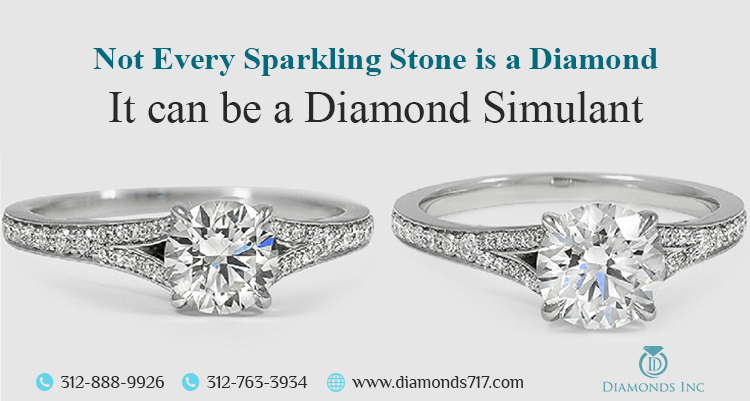 If you are talking about diamond simulants, then you must clear your concept that such stones only look identical to the real mined diamonds, but can never possess the characteristics of real mined diamonds. Some examples of such imitate diamonds are Cubic Zirconia and Moissanite. So don’t get confused with the lab-created diamonds. Now the question is, how can these diamonds be pocket-friendly? As they are grown in the laboratory, they are formed in a huge mass. This turns out to be an advantage for you. You may wonder, diamonds at a cost-effective rate, seem to be suspicious. But trust us they are not. Except for their origin, you can’t differentiate them in a distinct way. However, there almost a battle going on between man-made diamonds and real organic diamonds. Check out the blog on A fight between diamond made naturally or in a lab and know in details. Hope now, it will not be a difficult task to decide whether a diamond is a pinch to your pocket or smile to your partner. Isn’t it? So, we will like you to go for such exclusive diamonds and bring back the smile on your partner’s face as well as save your pocket instantly. Have you ever checked out the diamonds in Chicago? Believe us, this will be an awesome destination for buying diamonds.